Přemysl Pitter was born in Prague in a Christian family. He fought as a volunteer in the First World War, during which he became a deeply religious Christian and pacifist. He worked in many humanist and pacifist organisations, including the Academic YMCA and the League for Human rights. He also founded the Czechoslovak branch of the Movement for International Peace. 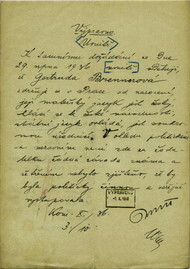 In 1924 he founded the Milíč House Association. The house, which opened on Christmas Eve 1933 in the Prague district of Žižkov, was devoted to the upbringing of Žižkov's poorest children, who would go to it each day after school. After 1937 it accommodated over 150 children, including the children of German parents who had been forced to emigrate from Nazi Germany. From the start of the Nazis' persecution of Jews, the house also held Jewish children. The latter were also hidden in Mýto near Rokycany, where a recuperation centre and campsite were opened in 1938. After the war, the Milíč House reopened, and under Přemysl Pitter's leadership it functioned until the revolution in 1948, when it was taken over by the Central National Committee in Prague. It was operated in accordance with its original purpose until 1950, when it became an ordinary state after-school facility. It is now a preschool. 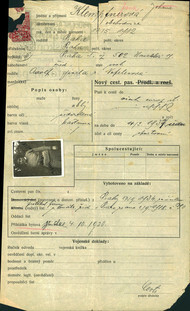 From September 1941, Přemysl Pitter visited Jewish families, and sent parcels to the concentration camps for many people who had been deported there. 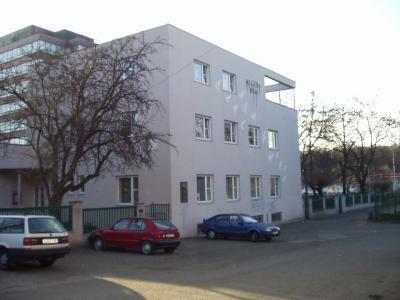 The Milíč House in Žižkov, Prague, in its current state. 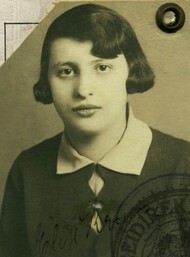 Photo: T. Štěpková. The Committee for Christian Aid to Jewish Children was created in autumn 1944, with the aim of looking after children who returned from concentration camps after the war. 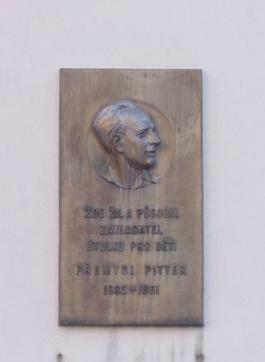 The idea came to fruition in May 1945, when Přemysl Pitter became a member of the social committee of the Czech National Council. 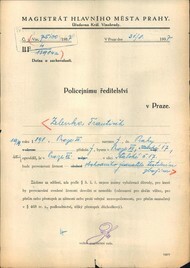 A typhus epidemic had broken out in Terezín, and Pitter organised the removal of all children capable of travel to four confiscated chateaux - Štiřín, Olešovice, Kamenice and Lojovice, which he had received permission to operate. He both cared for and educated the Jewish children who were recovering there from the ravages of the concentration camps, and later German children of families who were expelled after the war and other countries. Between May 1945 and May 1947, 810 children were cared for at the chateaux. Because Pitter openly criticised the treatment of Germans who were being removed from the country, he was stripped of his function as a member of the social and health committee of the Land National Committee. 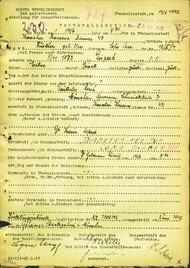 After 1950 he was interrogated as a result of his activity in pacifist organisations, and threatened with forced labour. On 26 August 1951 he emigrated to Germany, later moving to Switzerland. He was appointed by the World Council of Churches in Geneva to provide pastoral and social care in the Valka refugee camp near Nuremberg. He later settled in Switzerland, and together with Olga Fierz, continued to dedicate himself to social activities. 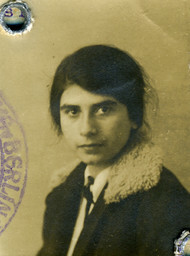 They founded the Czechoslovak Society for Science and Art, and worked in Radio Free Europe. He is the author of several books (see Literature). He received several honours, including the highest decoration of the Federal Republic of Germany for saving German children (1973). 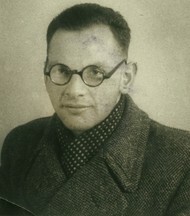 After 1991 he was awarded the title Righteous Among the Nations. In 1995 the 100th anniversary of Přemysl Pitter's birth was declared a world cultural anniversary by UNESCO's general conference. On 29 June 1995 a memorial plaque was unveiled at the chateau of Štiřín, and on 4 November 1995 also at Mýto near Rokycany. Olga Fierz was born in 1900 in Baden, Switzerland. 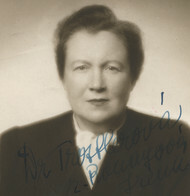 After graduating, she worked as an education worker in England. 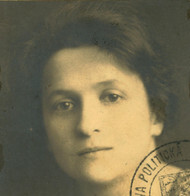 She met Přemysl Pitter in 1926 at a Movement for International Peace conference, and moved to Prague. 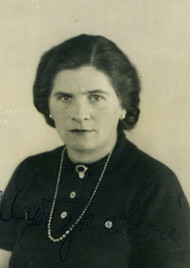 She worked in the Milíč House from the start, and was Pitter's closest colleague there, as with the Chateaux project, in which her main role was to search for the families and relatives of Jewish children who had survived the Holocaust. 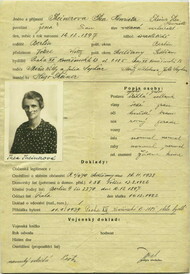 After 1950 she was no longer allowed to return to Czechoslovakia. She continued to live in Switzerland, working at Přemysl Pitter's side. From 1976 she published the magazine Conversations with Writers. 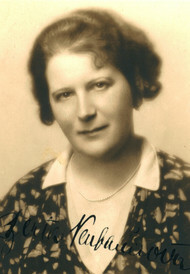 She is the author of two books (see Literature) and was also awarded the title Righteous Among the Nations. Kohn, Pavel. Kolik naděje má smrt (How Much Hope Has Death). Brno: L. Marek, 2000, s. 311. Pitter, Přemysl. Na předělu věků (Watershed of the Ages). 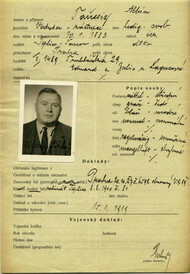 Kruh přátel duchovní obrody, 1959, s. 106. Pitter, Přemysl. Nad vřavou nenávisti (Above the Tumult of Hate). Praha: Kalich, 1996, s. 236. Pitter, Přemysl. Duchovní revoluce v srdci Evropy (Spiritual Revolution in the Heart of Europe). Praha: Kalich, 1995, s. 136. Pitter, Přemysl. Život pro druhé (Life for Others). Praha-Litomyšl: Paseka, 1998, s. 185. Pasák, Tomáš. Život Přemysla Pittera (The Life of Přemysl Pitter). Praha: Ústav pro informace ve vzdělávání, Pedagogické centrum J. A. Komenského, 1995, s. 210. 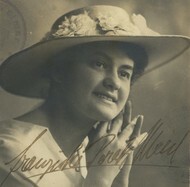 Demetz, Peter; Fierzová, Olga. Dětské osudy z doby poválečné (Children's Fates in the Postwar Period). Praha: Paseka, 1992, s. 114. 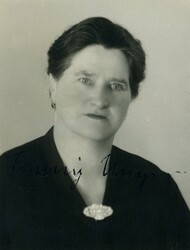 Fierzová, Olga. Přemysl Pitter a jeho dílo (Přemysl Pitter and his work). Praha: Kalich, 1996, in: Nad vřavou nenávisti (Above the Tumult of Hate).